Over the Thanksgiving holiday I received an image of a fossil imprint of some sort of coiled nautiloid. 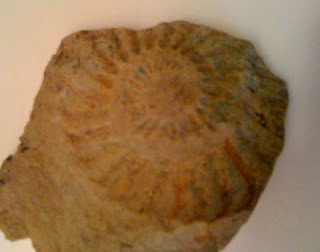 It was found on the Indiana side of the Ohio River in the Louisville, Kentucky area. 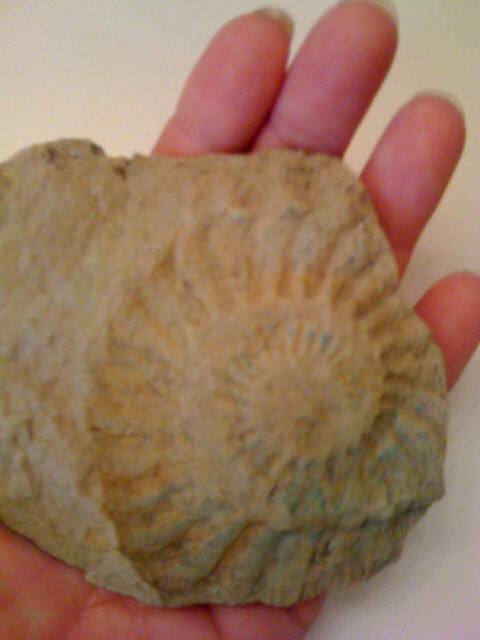 The only fossils I know of like that are found in the Louisville Limestone of Silurian Period. If it is a Silurian fossil it might be a Graftonoceras graftonense?. Other Silurian cephalopods found in the area are the Lituites marshi? shown an earlier posting and the Bickmorites shown here. Thanks to Dana for the images.